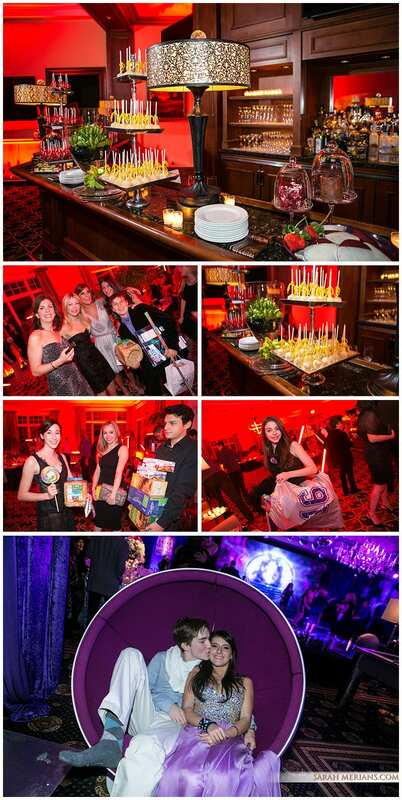 This was not your typical Bat Mitzvah celebration! Family and friends gathered at The Meadowlands Expo Center to celebrate Jordan. The cocktail hour was full of fun carnival games from mini golf to bumper cars with a live band in the middle of the bar! Taylor Keenan was the planner for this incredible celebration and created this event from floor to ceiling as the space was raw and needed to be built out. Dinner had 4 restaurants in the main space and guests had the choice of Asian, steakhouse, deli or diner food. The evening started with a Havdalah ceremony before the fun cocktail hour. Jordan entered the party in a very large balloon that was blown upo with a pump and then popped to her coming out of the balloon! This was a extra “Jordanary” event! We were honored to capture it! We long for warmer weather as we share these summer images from Ava’s May Bat Mitzvah at Soundview Caterers on Long Island located on the beach. The wonderful Allie Levine produced this hot summer beach party with sunglasses for the sunshine and light up glasses for the dance party full of action and neon lights and headphones for “quiet” music set. These “silent disco” headphones are the newest trend for adults that want to eat their dinner in peace and quiet. The service started on the water with turquoise custom yarmulkes to match the ocean and the sky. The sun shone brightly for Ava’s Torah portion as family and friends looked on. Jared of More than Music provided all the entertainment from the LED lights to the cool hockey “kiss” logo on the screens around the roon. AL Events created one fun evening for this cool family. Mitzvah Monday: A Snowstorm Doesn’t Stop This Long Island Mitzvah from Being a Blast! Mazel Tov to Brandon, who became a Bar Mitzvah during a Havdalah service at Old Westbury Country Club earlier this year. Bryan’s family looked on with pride during the service and then it was party time! We loved the very creative displays designed by Pat & Glenn Productions: tiered white and green florals sitting a variety of clear vases. The display paired with votive candles was a unique and modern look. More than Music team’s brought the house down as guests hit the dance floor to celebrate. Happy “Snowmitzvah”, Brandon! The first big snowfall of the year didn’t stop this family from celebrating Daniel’s Bar Mitzvah. The weekend began at a photo shoot with Sarah at Temple Shaaray Tefila uptown. Apella at the Alexandria Center on the East River is a great party space from its sleek and modern bar area to the swings hanging from the ceiling for guests to sit on! DB Sports was the theme of the night with tennis, football, hockey and basketball table centerpieces designed by Frank of House of Flowers. More than Music kept the party moving on the dance floor. Congratulations! Brrrr….it’s cold out there today! Let’s warm up with some photos from Robbie’s Bar Mitzvah and his Texas-style saloon celebration! The party began at Hewlett-East Rockaway Jewish Centre where Robbie became a Bar Mitzvah – reading from the Torah and reciting his Haftorah in front of friends & family at a beautiful Havdallah service. Then it was off to “Austin, Texas” aka Seawane Country Club in Hewlett Harbor for some rodeo fun, courtesy of event planner Debbie Kahn of AGI Events. The elegant centerpieces set on top of saloon-style brown wooden tables were designed by Stefan’s Flowers. More than Music kept the party going on the dance floor. Mazel Tov and Yee-Haw go out to Robbie and his family! Fun fact: Robbie even had a mechanical bull-riding station set up at his party! Check out a couple photos of him and his family riding the bull below. On this very beautiful and sunny Friday, we wanted to share this collection of images from Emma’s Sweet 16 at Alpine Country Club in Demarest, NJ. Lawrence Scott Events really set the tone for the event with beautiful lampshades adorning the long communal tables and the gorgeous purple mood lighting. More Than Music kept the party going on the dance floor as Emma and her friends danced the night away. Check out the amazing chocolate display guests got to partake in at the end of the party below! Alexa’s Bat Mitzvah -Feathers, Sequins and Orchids, Oh My! MITZVAH MONDAY: Mazel Tov, Alexa! Talk about a P-A-R-T-Y! After reciting her Torah and Haftorah portions in a beautiful Havdallah service at the Woodbury Jewish Center, Alexa and her family celebrated in style at her hot pink Bat Mitzvah bash! The Woodbury Jewish Center was transformed into a sea of feathers, sequins, daybeds and banquettes. Hot pink, white and silver were Alexa’s colors- even coordinating with Alexa’s two Mitzvah dresses for the evening! Alexa’s passion is shopping and a custom cake featuring Tiffany and Jimmy Choo shopping bags and boxes was designed for her candle lighting. Stefan’s Event Decor and Floral Design did an amazing job creating a paradise of color surrounding Alexa and her family-accented by white orchids and pink roses. Friends and family had fun dancing and singing with the More than Music team. As the baby of the family, Gaby was all smiles at her Bat Mitzvah at Stage 37 earlier this year. Mom Gail and Dad David were so proud of their little girl. Check out this great selection of images from the party, held at Stage 37 in midtown. Lawrence Scott Events turned this raw Manhattan event space into a party paradise- with custom pink rose centerpieces and decadent black lampshades on the dais-style tables. The art deco plates were fabulous, yet sophisticated and added a nice custom touch to the event décor. Gaby had custom lenses with her name on them designed just for her Mitzvah and guests had a blast dancing the night away with the More than Music crew. Mazel Tov, Gaby! I was thrilled to be a part of Austin’s big day! It was so much fun to work with such a great family. I traveled to Temple Judea in Manhasset to photograph Austin and his family on the bimah. Photographing Bar and Bat Mitzvah kids with the Torah is such a special experience for me. I then shared in the joy of the party festivities at Glen Oaks Club in Westbury. More than Music provided the tunes for the evening and the room was decorated with the professional flair of Pat Glenn Productions. Mazel Tov, Austin!